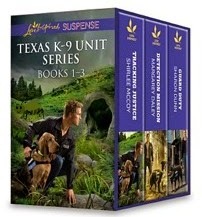 After a prominent senator's son is murdered, Capitol K-9 Unit captain Gavin McCord wants answers. The senator was a mentor to Gavin, and he'll stop at nothing to bring the killer to justice. With his team of elite K-9 cops and his loyal dog, Glory, at his side, Gavin discovers that a child at Cassie Danvers's nearby foster home may have witnessed the murder. He's drawn to the determined and beautiful woman, but she doesn't want him interviewing her traumatized charges. Yet trusting Gavin is the only way to stay one step ahead of the deadly gunman when Cassie becomes a target. Shirlee McCoy has always loved making up stories. As a child she daydreamed elaborate tales in which she was the heroine — gutsy, strong and invincible. Though she soon grew out of her superhero fantasies, her love for storytelling never diminished.Shirlee knew early that she wanted to write inspirational fiction and began writing her first novel when she was a teenager. Still, it wasn't until her third son was born that she truly began pursuing her dream of being published. Three years later she sold her first book.Now a busy mother of four, Shirlee is a homeschool mom by day and an inspirational author by night. She and her husband and children live in Maryland and share their home with a dog and a guinea pig. *Shirlee's photo courtesy Giordano Photographics. I was blessed to read one of Shirlee's books, Tracking Justice. When a boy goes missing from his bedroom, a police detective must assure a desperate single mother that he and his trusty bloodhound will find her son. Normally I do not like romance or love stories. I read so many of my mom's Harlequin books growing up, I started dreading when she would hand me another book. This was a story that took it slow and didn't push anything, even the first kiss. The way God and the faith of the main characters was portrayed was soft and not pushy. I believe I am hooked on these books! 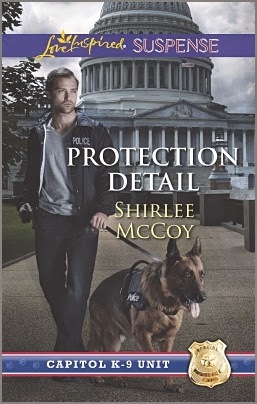 A copy of Shirlee McCoy's Protection Detail in print. you are not eligible to win it again. Winner is subject to eligibility verification. I like mystery and western books. My favorite type of book is paranormal. My favorite is romantic suspense.